I wanted to let you in on a great modeling contest I came to find out about! It's called Fresh Faces 2014! This year is the contest's 5th successful run and it is brought to you by Modelmanagement.com, which is the fastest growing network in the world for models, photographers, model agencies and industry professionals. 1. Create a modelmanagement.com profile. 2. 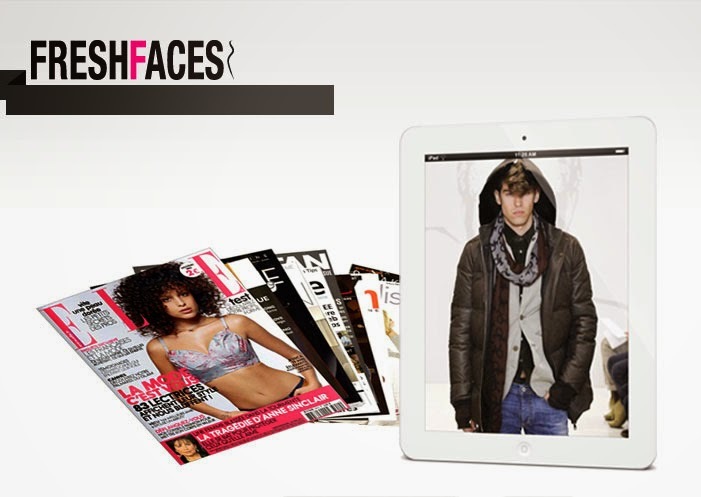 Upload cool fashion photos of yourself showcasing your great model potential. 3. Share your profile link with all your social media platforms to earn as many votes as you can! The expert panel of Modelmanagement.com and the collaborating agencies will analyze each model carefully, take into account the amount of votes you have, and see if you have what it takes to go to the Grand Finals! So the top male & female will be chosen from each of the 42 countries to go on to the Grand Finals. From there, there will be both a male & female winner who will be granted international modeling contracts! Previous winners from this contest have gained international exposure and walked the catwalks of Armani and Prada, pretty cool if you ask me! The cool thing is that even if the individual country winners don't win the Grand Finals, they still both will receive modeling contracts for their home country. Check out the links to create your profile and get your votes started! Let me know if you decide to enter, I'd love to see and help get you some votes!